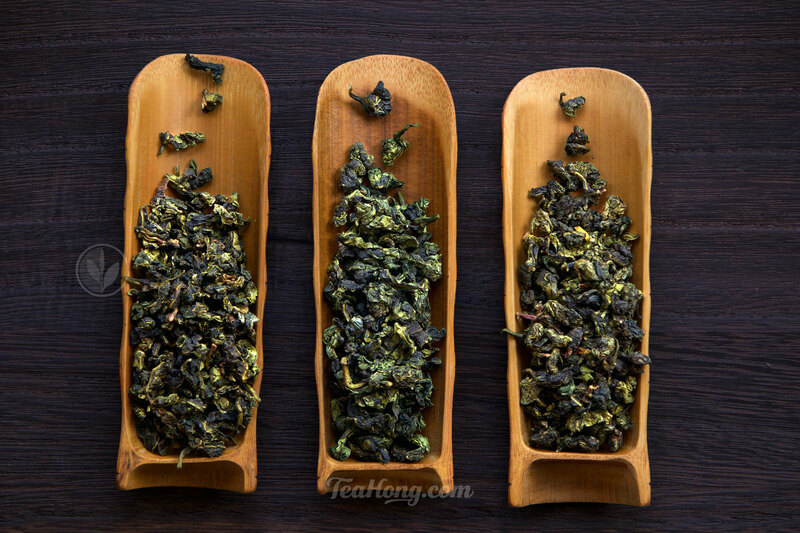 Tea Log > Nature of Things > How to Read a Tieguanyin Tea Leaf? 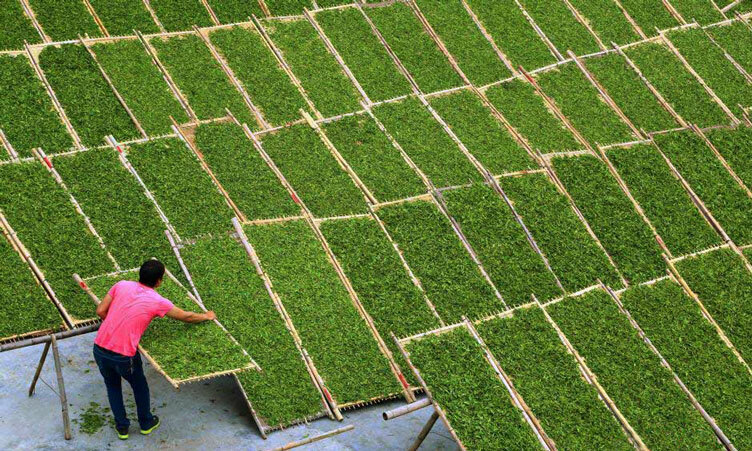 Maybe you cannot be at the tea farm when the Tieguanyin you drink is being processed. You do not know if the farmer is really using only leaves from the authentic cultivar. Or whether he is following traditional practices. You are not even sure what a real and fine Tieguanyin tastes like. How do you know what you have bought is a genuine Tieguanyin? The infused leaves offer some information, amongst other signs. Leaves before infusion lend some clues too, but they require a little more experience to decipher, lest wrong conclusions. 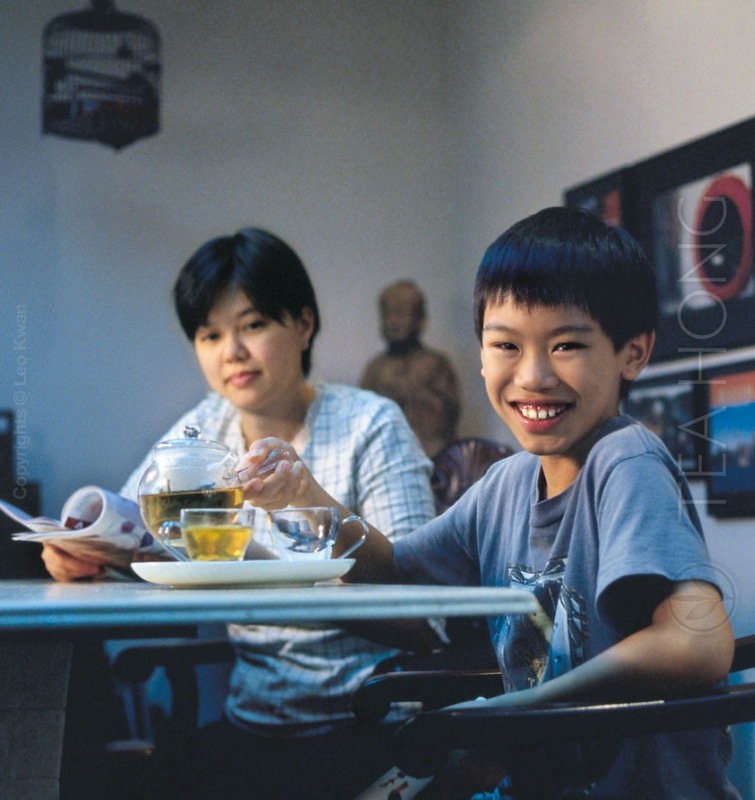 Let’s learn how to read some tealeaves in this article. Make a wild guess which of the above Tieguanyin is which. The same arrangement order is made in the infused tealeaves in the photo below. They are in consistent relative positions in the three photos, but not in the same order as the list. Make a guess which is which. And also try to guess rank them by their quality. What are the visual clues of a genuine and properly processed Tieguanyin? Proper processing requires immediacy and optimum breathing conditioning for the leaf. For example, spreading the leaves under the sun immediately after plucking. Otherwise oxidation begins prior to processing. Not only would some of the potent substances wasted, but they also turn into anti-quality matters that muddle taste quality. In most commercial processing, operators usually jam too many leaves together. There is no optimum ventilation for proper oxidation. Again, similar anti-quality matters form in the leaves. These less than ideal substances dull the colour of the leaves. Compare the three infused leaves. The difference is obvious. 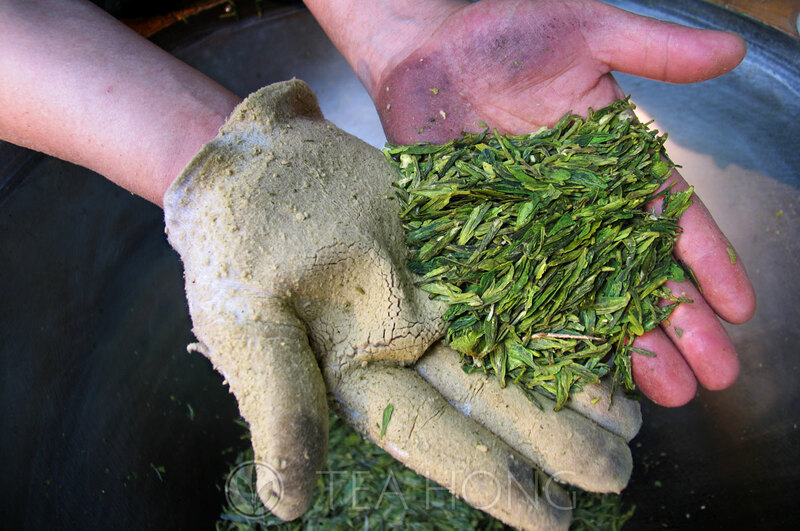 Before we read the infused leaves, let’s look at the fresh leaves immediately when they are plucked. Notice that the leaves of a genuine Tieguanyin cultivar is generally quite thick and the surface between the vein bulges a little. Here in a standard pluck, the two larger leaves will be retained in the product, whereas the leaf shoot and youngest leaf will be got rid of in the later stage of processing. 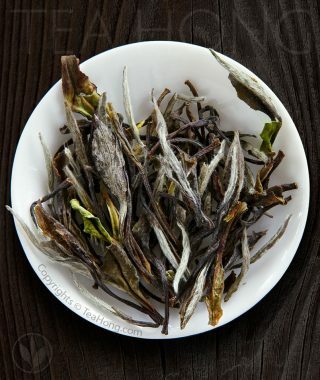 Although these features are shared by some other cultivars, they are not present in two of the leaves that most frequently got blended into, or sold as Tieguanyin: Ben Shan and Huangjin-gui ( another such cultivar is Mao-xie, which look is more deceivingly similar ). A Tieguanyin leaf is thicker with convex planes between veins, and a wavy edge. All three other frequent imitation replacement are thinner and smaller. The first two are flatter and thinner. Ben Shan is darker colour, Huangjin-gui is more greenish yellow. 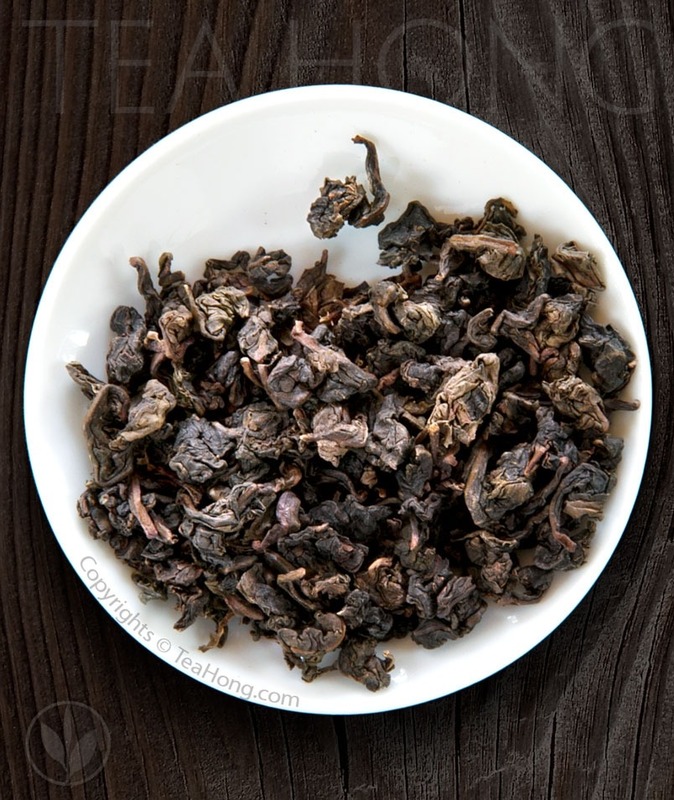 Ben Shan as a cultivar grows a lot more resiliently and yield higher than Tieguanyin. 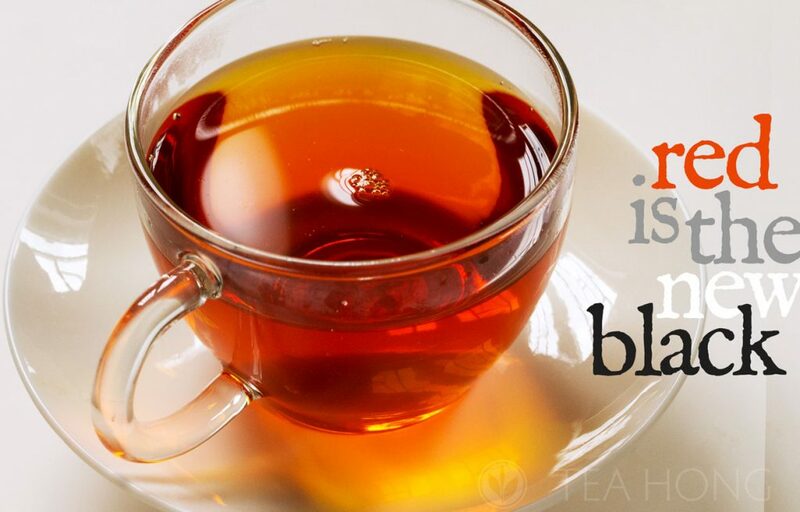 It is therefore one of the most frequent ingredient for mislabelling and blending. 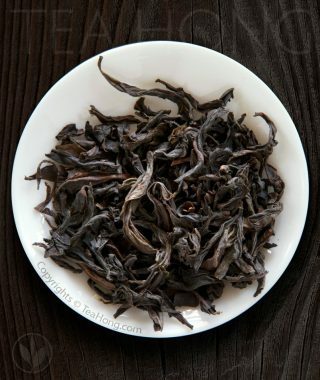 A good quality mass market grade Tieguanyin that one may find in the East. Here a genuine cultivar is employed, although processing itself needs more improvement. A properly processed genuine Tieguanyin. A good export grade Tieguanyin, as that one may find in some teashops/brands in the West. This is one leaf from the mix. In the infuser mug, leaves of two other cultivars are found. One is Tieguanyin. However, Ben Shan is the predominant content. This batch is a relatively better one amongst our finding. There are plenty worse ones. This is a traditional Tieguanyin only feature. The edge where oxidation begins and is more intensified is beaten off before the leaves are tightly rolled into semi-balls. This is to avoid acute bitterness characterised in this cultivar. This processing step requires both skill and labour. It is skipped in commercial productions, as well as in imitations. Of the three samples, there is only one that fits all three criteria. That said, however, this is only step one in understanding the quality of a traditional Tieguanyin. 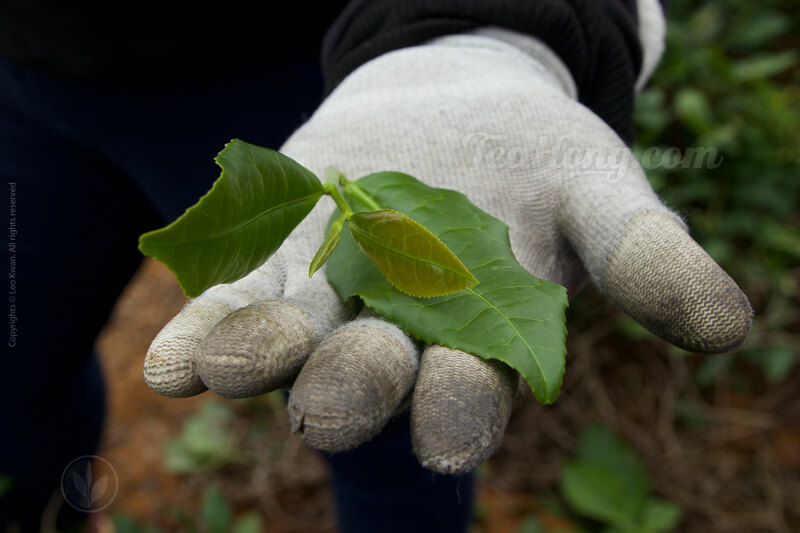 Growing environment, the season, tea picking conditions, processing techniques and conditions, handling and storage are other critical elements on top of what has been described. Although tasting is the ultimate measure for the final quality, understanding the visual clues of the infused leaves does help us in our daily work in selection and quality monitor. 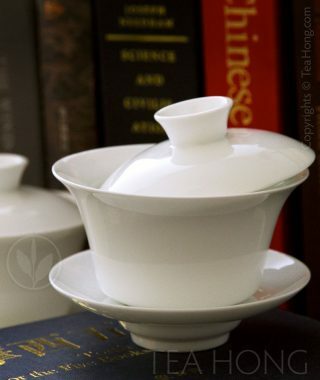 I hope this will help you understand better your cup of Tieguanyin too!